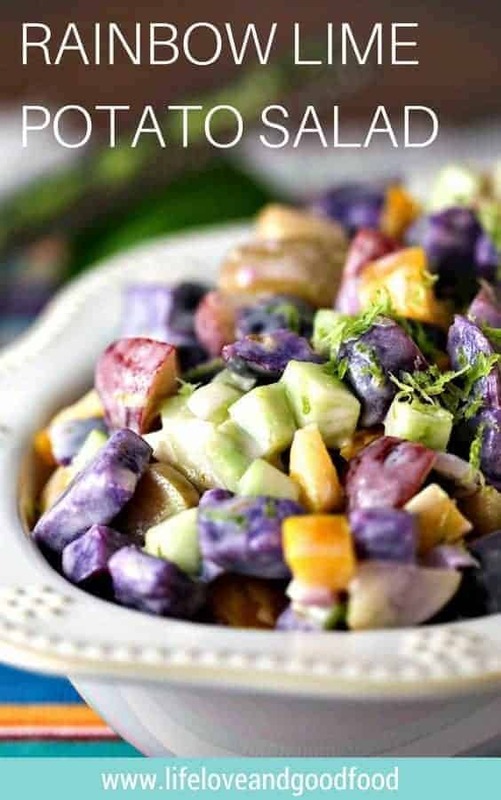 Rainbow Lime Potato Salad—a pretty and tasty side dish for Spring—gets a little extra zing from fresh lime juice and zest! Listen up, people, this is not yo’ mama’s potato salad. I mean, have you ever seen such a colorful dish of potatoes? 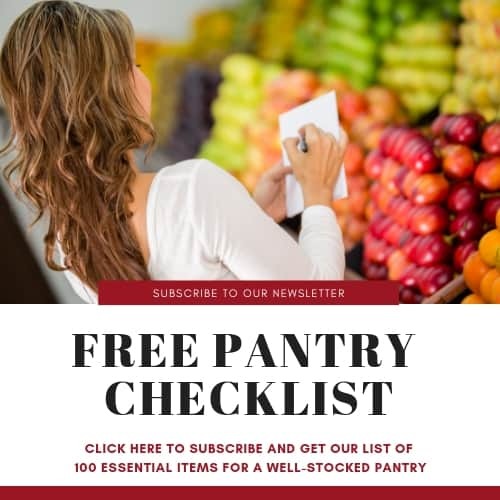 Did you know you can get bite-size potatoes in the produce aisle in a medley of ruby red potatoes, white potatoes, and purple potatoes? That’s the inspiration behind this recipe. I used Tasteful Selections Sunrise Medley Potatoes to reinvent potato salad and to give this dish some real personality. 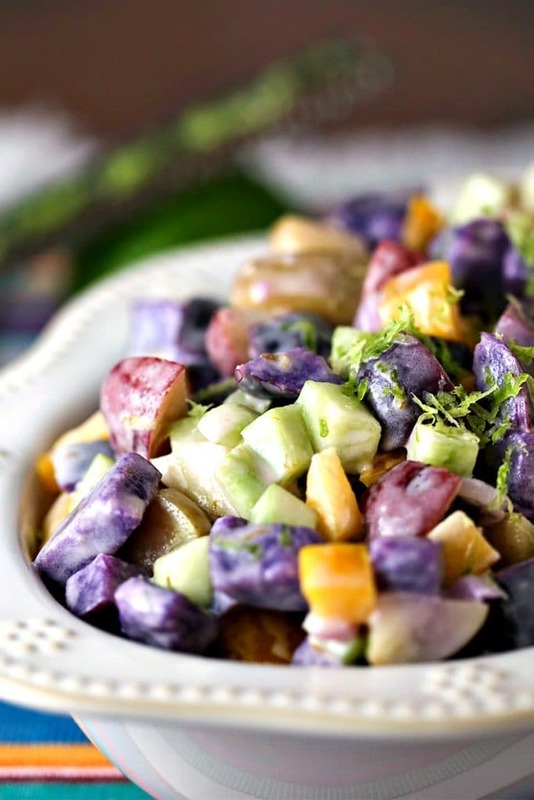 Please allow me to introduce you to Rainbow Lime Potato Salad. 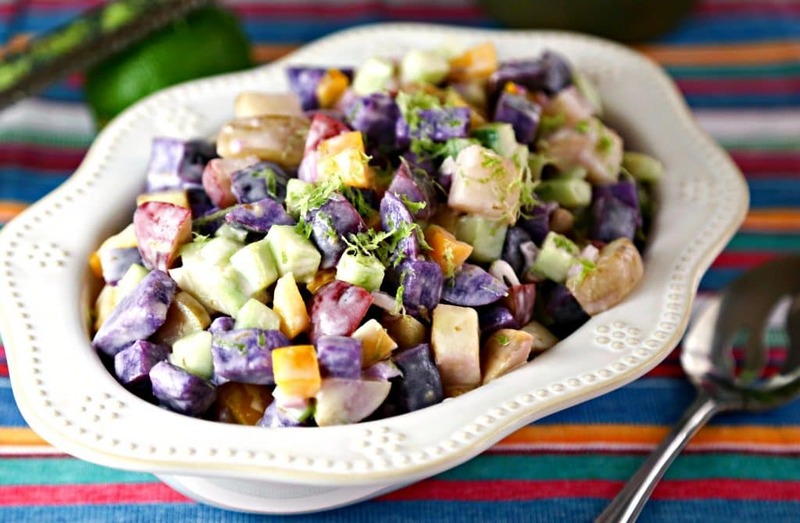 Obviously, the not-so-secret ingredient in this potato salad is fresh lime juice and zest. Cook the potatoes and while they are still warm, toss them in a lime juice mixture. Later, add chopped yellow bell pepper and cucumbers and the rest of the dressing ingredients and toss to combine. I love how a few basic ingredients can get paired together to create something that is extraordinary! Can’t you just imagine this dish on your Easter table along with a basket of colorful Easter eggs? 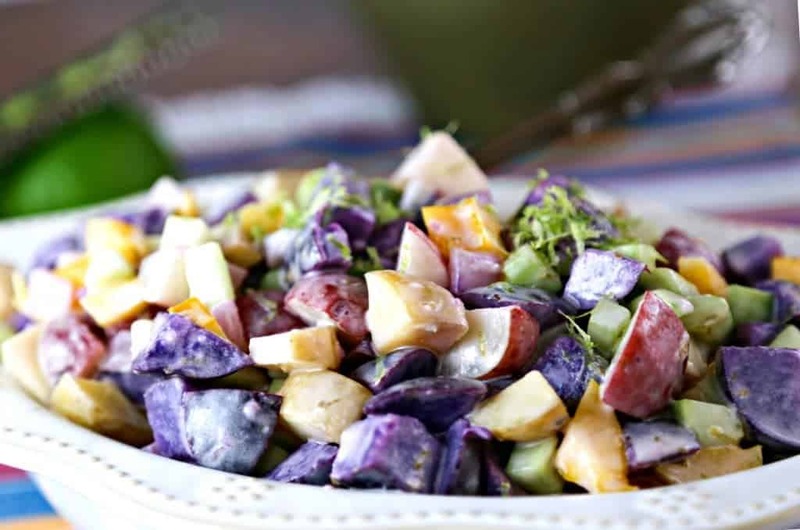 If you have an aversion to purple potatoes, then try making this dish with all red potatoes or a mixture of white and red potatoes instead—but doesn’t that seem boring after seeing this dish?! The combination of soft potatoes with the crunch from the bell peppers and cucumbers is very refreshing in this dish. The flavors are definitely brightened up with the lime zest and it makes for a pretty garnish sprinkled on top (just like the way you’d use paprika on old-fashioned potato salad). This salad is best eaten the same day and makes about six to eight servings. Enjoy, friends! 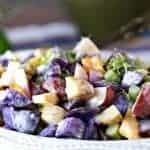 Rainbow Lime Potato Salad—a Springy Easter side dish—gets a little extra zing from fresh lime juice and zest! Wash potatoes and dice into 1/4-inch pieces (do not peel). Cook in salted boiling water until just fork tender (not too soft). 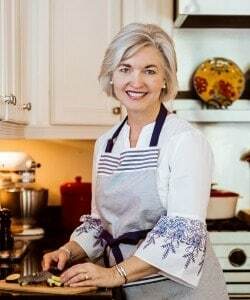 In a large bowl, combine onion, lime juice and zest, olive oil, and salt. Add warm, cooked, well-drained potatoes and toss to coat. Cover and refrigerate for one hour. In a small bowl, whisk together the mayo, sugar, and apple cider vinegar. Add to the potatoes with the cucumber and bell pepper. Toss to coat well and return to the refrigerator until well-chilled. Recipe adapted from The Fresh Market.